i had never heard of fizzball before moving to richmond, everything i learned about fizzball...i learned from leo heinzel. 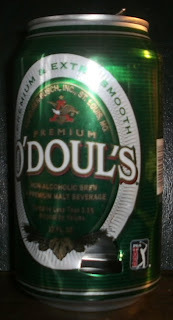 originally, i believe, this game was played with soda or pop, but this time around we went with non-alcoholic beer. at the time, i was running low on cans to make it through the year and just my luck, odoul's only comes in 12 packs! what better use for 11 cans of o'douls than fizzball? fizzball is played sometime between 2:33 and 5:00 on the 3rd sunday of every november at chimborazo playground.